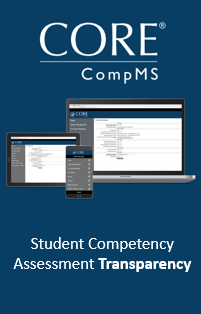 CORE CompMS is a Competency Management System for detailed student competency documentation and tracking, curriculum mapping, and course evaluation. Is your current technology platform properly supporting your institution�s competency-based education programs and initiatives? If not, contact a CORE representative today for a demonstration and pricing. 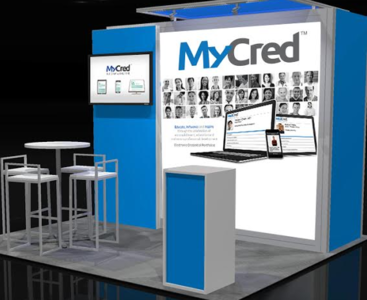 MedCred/MyCred Portfolios are electronic credential and achievement presentation portfolios designed to store and present an individual�s educational, professional, and experiential accomplishments. 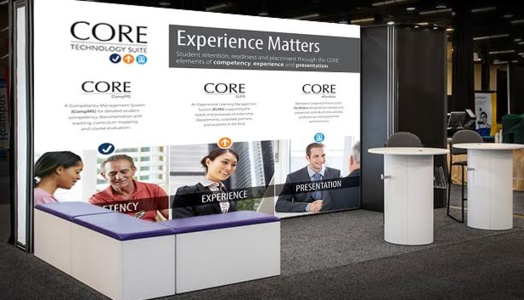 MedCred/MyCred Portfolios serve to educate, influence, and inspire an individual�s viewing audience leading to stronger professional relationships and positive outcomes. Accreditation Body: An organization that provides accreditation to a college or university. Many national and regional accreditors include student competency accountability as a requirement within their standards. Schools are required to map school outcomes and competencies to a national set of outcomes and competencies set forth by their accreditation body. Capstone Competency Observation: A final observation of an individual competency or outcome which triggers a Competency Certificate (micro-credential) for the student. Commenting / Journaling: Either a self-assessment or feedback given to students relating to the quality of their work on a particular competency or outcome. Commenting / journaling is considered qualitative data and is one of the three data components of a full competency observation. Competency: A skill or conceptual understanding demonstrated by students and documented in the CompMS. Achievement of a set of competencies lead to the overall achievement of the outcome and lead to the generation of individual competency certificates. Competency Artifact: An Artifact is a student work sample (paper, presentation, video, etc.) used to demonstrate competency for a particular competency or outcome. Artifacts are one of the three data components of a full competency observation. Artifacts are stand-alone files that are attached to the competency observation after the likert scale point has been chosen and commenting / journaling completed. Competency Certificate: A micro-credential issued by the school indicating that the student has fulfilled the requirements of performing a particular competency. Competency Certificates are generated for individual outcomes or competencies, and are triggered by a Capstone Observation. The collection of competency certificates is known as the competency transcript. Competency Rubric: A supporting document that articulates the expectations of each individual point on a competency likert scale. Competency Transcript: A collection of individual competency certificates achieved by the student. Competency transcripts are unofficial transcripts and can be exported by the student in pdf form to be shared with others. Curriculum Mapping: The process of collecting and recording curriculum-related data that identifies core skills and content taught, processes employed, and assessments used for each subject. Within the CompMS, faculty map competencies to both courses and to national accreditation standards for reporting and gap analysis purposes. Curriculum Mapping Key: An established set of guidelines used for mapping curriculum to competencies to ensure consistency for faculty members. Curricular Mapping Rules: Defined guidelines to ensure proper standardization and consistency in the curricular mapping process. Didactic Education: For the purposes of a CBE program is the lecture-based education (classroom) with the role of the instructor as that of the expert, and with the students being receptors of the teacher's knowledge and experience. Experiential Education: For the purposes of a CBE program is the hands-on education typically experienced by students in the field, labs, and simulations. Formative Assessment: Are measurements at different points during a particular course or at different points over the span of a studentâ��s education that provide meaningful feedback to improve student learning. Individual observations in the CompMS throughout the didactic and experiential portions of instruction would be considered formative assessments. Gap Analysis: As it relates to competency assessment and curricular mapping is the identification of gaps in the curriculum where specific competencies are not being taught to the degree necessary for the student to adequately master the competency. Learning Management System (LMS): An software application for the administration, documentation, tracking, reporting and delivery of electronic educational technology courses or training programs. Examples include Blackboard, Canvas, Moodle, etc. Likert Scale: A point value assessment scale used to gather quantitative assessment data. Point choices within likert scales are one of the three data components of a competency observation. An assessment rubric is applied to the likert scale providing guidance to the assessment observers. Likert scale data generates the quantitative data reports within the CompMS. LTI Integration: An interoperability process with the primary purpose of connecting learning systems such as a learning management system (LMS) with another complementary learning system such as COREâ��s CompMS for the transference of real-time data. Micro-Credentials: Are the individual competency certificates generated by a capstone observation. 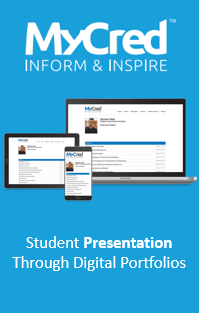 Micro credentials (competency certificates) can be hosted and shared via the studentâ��s MyCred digital presentation portfolio. MyCred Presentation ePortfolio: A self-curated digital credential presentation portfolio designed to manage and present a studentâ��s educational, professional, and experiential achievements. Observer: Any person (faculty, student, student advisor) responsible for observing studentsâ�� work related to achievement of competencies, and documenting evaluations (observations) relating to the quality of the work within the CompMS software. Outcome: Identifies what the student will know and be able to perform by the end of a course or program. Pedagogy (related to curricular mapping): In the curricular mapping process, the mapping criteria â��Pedagogyâ�� is the method by which an outcome/competency is taught within a chosen course. Qualitative Assessment Data: Are information that are not in numerical form, typically descriptive data, and as such are harder to analyze than quantitative data. The Commenting/Journaling and artifacts of a competency observation are examples of Qualitative Data. Quantitative Assessment Data: Are information in numerical form which can be placed into categories, in rank order, or measured in units of measurement. An example of quantitative data are the competency likert point scale numbers within competency observations. SSO (Single Sign On): A session and user authentication service that permits a user to use one set of login credentials (e.g., name and password) to access multiple applications. For example, once a student logs into their LMS, they would be automatically logged into the CompMS due to SSO. Summative Competency Assessment: Methods are measurements at the culmination of a particular course or at the culmination of any part of a studentâ��s education that measure the degree of student learning. Capstone observations in the CompMS at the completion of a didactic or experiential portion of the students instruction would be considered Summative Assessments. Competency certificates and competency transcripts would be the end-result of summative assessment.